A new IMFG Perspectives paper posit five steps to foster citizen trust in Canadian municipalities. In a new article, Geothink Co-Applicant Pamela Robinson and her co-author, Dina Graser, posit five steps to foster citizen trust in Canadian municipalities as they attempt to raise funds to cope with almost $400 billion of infrastructure deficit nationwide. Pamela Robinson is an associate professor at Ryerson University’s School of Urban and Regional Planning. She sees this research as building upon previous Geothink research examining the ways in which civic hackathons reshape citizen-government interactions along with open data. Instead of interrogating how open data makes municipalities more accountable or transparent (or may fail to), this paper examines how it shapes levels of public trust in government. Robinson adds that data itself is not a panacea. Robinson warns that the longer municipalities wait to build trust and raise funds, the greater the challenge will be in terms of the huge backlog of municipal infrastructure work that needs to be completed. Particular challenges include governments strapped for resources and money, news cycles with shorter attention spans, and citizen fatigue with governmental processes. 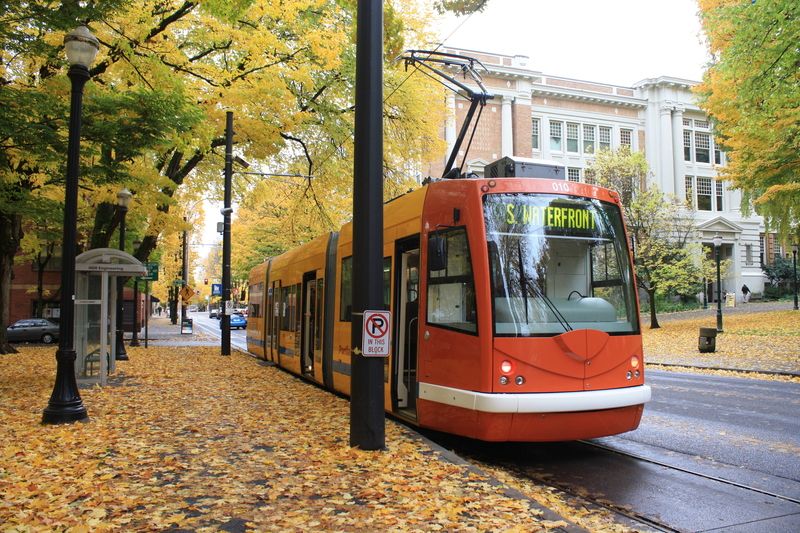 Yet, new transit lines or bridges require sustained community engagement. 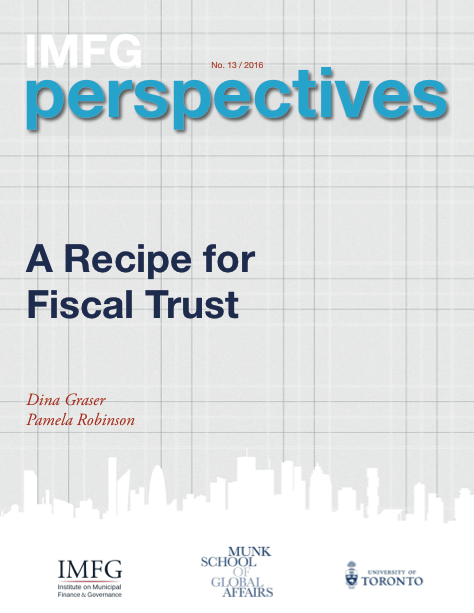 Graser, D. & Pamela, R. (2016) A Recipe for Fiscal Trust. IMFG Perspectives, No. 13, p. 1-20. Cities across Canada face an enormous infrastructure deficit. From 100-year-old water mains to transit systems in vital need of upgrading and expansion, Canadian infrastructure is widely recognized to be in dire straits. And while the majority of Canadians elected a new government that was prepared to run a deficit to fund infrastructure, these funds alone will not cover the investments needed. Local governments need to make significant financial investments, too, and must raise revenues through taxes, user fees, and possibly new revenue tools. But before they can take these actions, they have to build trust to convince heir residents that new revenues are needed and will be spent wisely. Earmarking of funds: creating a dedicated fund that clearly links revenues raised to specific expenditures, and regularly reporting on the progress of projects funded. This research shows that there are concrete and practical steps that cities can take to build fiscal trust – but there are no shortcuts. Trust-building is a long-term proposition that takes resources. Cities must invest the time and dedicate the resources to build trust through all of the steps outlined, and continue to do so as part of their regular activities. This entry was posted in Refereed Publications & Conferences and tagged 400 billion, dina graser, Geothink, IMFG, infrastructure deficit, municipal, munk school of global affairs, Pamela Robinson, Research Theme 1: Anywhere Anyone Anytime, Research Theme 4: Open Everything, Ryerson University, trust, University of Toronto on August 15, 2016 by Drew Bush. Crowdsourcing for better science and governance? 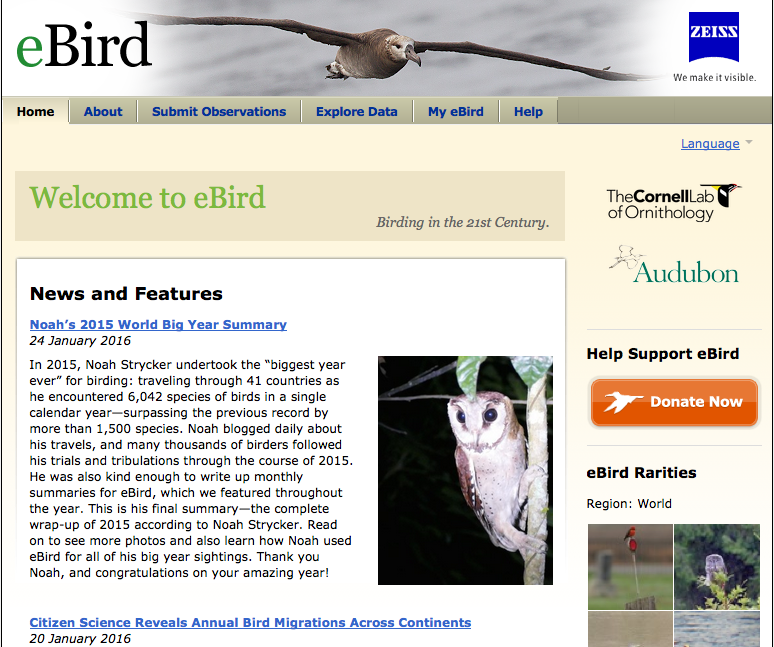 Cornell University Lab of Ornithology’s E-Bird Web site allows citizen scientists to contribute data on birds for real scientific research as one novel application of crowdsourcing. At Cornell University’s Lab of Ornithology, scientists have long benefited from the legions of enthusiasts who find joy in observing and reporting the birds they see during their daily routines. In 2002, the lab worked with the United States National Audubon Society to launch eBird, an online database where scientists and amateur naturalists can submit real-time observations of the birds they see and their behavior. Since 2013, scientists have benefited from more than 100,000,000 observations and data for over 10,240 species in the program generated by more than 100,000 users. Geothink researcher Daren Brabham is an assistant professor at the University of Southern California School for Communication and Journalism. Brabham believes crowdsourcing represents not only a tool to help scientists or the government do their work, but an opportunity to redefine what it means to provide service to one’s country—which in the past has been synonymous with military service. He envisions a future where if the United States National Aeronautics Administration (NASA) needs help analyzing water levels or categorizing stars by galaxy, they could involve thousands of citizen scientists in the project much like E-Bird does today. Today’s trends in crowdsourcing mirror the evolution of his work. In particular, Brabham’s early work focused on applying crowdsourcing to uses in government, non-profits, and in public health. Many of these uses have since become common with, for example, the United States Office of Citizen Services and Innovative Technologies using DigitalGov to provide “information and services to the public anywhere and anytime.” In particular, one of its recent products, The Federal Community of Practice on Crowdsourcing and Citizen Science (CCS), works across the government to share lessons learned and develop best practices for designing, implementing, and evaluating crowdsourcing and citizen science initiatives. Some of the key concerns for any crowdsourcing initiative, whether it be for urban planning, policy-making, or a for profit venture, is how to build a committed online community, sustain interest in it, and handle dissent amongst its users. Researchers on this subject seek to answer the question of what drives these communities to form and if design issues inhibit or accelerate this process. For example, it’s difficult to know whether crowdsourced citizen science might succeed best if it involves primary school students in projects that count butterflies or instead utilizes iPhones to measure soil samples. It also helps to figure out why certain types of web-based platforms succeed at engaging communities while others have struggled. Brabham calls this type of assessment work “user-experience design,” which was a particular focus during Geothink’s 2015 Summer Institute. In work he’s completed with other researchers, Brabham has found platforms that are easy to use, enjoyable, and have an intuitive interface have higher success rates. This may sound obvious but it’s more than just establishing a set of best practices for how all platforms should be designed. Instead, online sites must be organized according to the different tasks users are asked to complete or the different roles they might play. For example, Brabham often talks about Threadless, a crowdsourced clothing and apparel site, and not just because his early involvement with it set him on his current research path after his now wife suggested he write a paper during his doctoral work applying this approach to sociocultural issues. In particular, he cites how Web sites like it give users a very clear idea of what audience it’s intended for, the activities the site allows users to undertake (shop, submit designs, or rate designs), and also includes a clear, user-friendly interface. “I think when people are asked to contribute content or ideas or whatever it might be to a web site or organization in a crowdsourced arrangement, they really do care about how easy it is to convey their idea to you and figure out how it’s going to be used,” he said. He points out that all too often researchers and critics focus on examining bad crowdsourcing initiatives rather than on what makes a given effort work. As crowdsourcing continues to be used in the public realm to help with citizen science efforts, paying attention to the details will become increasingly important. In particular, designers must provide users with multiple entry points, web sites with component parts organized based on tasks, and clear front pages that don’t overwhelm the average person. A plethora of other issues surround both the implementation of crowdsourcing in public policy or for citizen science, and with its possible future uses. Brabham writes more about recent trends in the use of crowdsourcing in his recently published book: Crowdsourcing in the Public Sector. His earlier book, Crowdsourcing, is often cited for its importance in tracing crowdsourcing’s origins, future applications, and potential research paths. If you have thoughts or questions about this article, get in touch with Drew Bush, Geothink’s digital journalist, at drew.bush@mail.mcgill.ca. This entry was posted in In The News and tagged citizen science, crowdsourcing, Daren Brabham, ebird, Research Theme 1: Anywhere Anyone Anytime, Summer Institute on January 25, 2016 by Drew Bush. As an early warm-up to our November 23 Twitter chat — What does meaningful civic participation on the geoweb look like? — we asked Geothink Head Renee Sieber to share her perspective. Here are a few highlights. I think we’re in an environment where we’ve really broadened opportunities for citizens to participate through social media, through these various kinds of devices that we have, so I think it’s very exciting. It’s an opportunity for citizens to be engaged when they don’t necessarily have the time to attend a meeting. So they can both watch city activities online through their own dashboards or they can communicate as issues arise. Perhaps cities may wish to create polls of online sentiment; they want to alert citizens of emergency situations or of interesting happenings in the city. —R.S. We can have citizens more fully engaged as members of the city in reporting, in monitoring events in real-time. People generally point to open 311 applications. Open 311 comes from an old telephone service where you could dial a short number, 311, and you could report a nuisance complaint. This has moved online. So the prototypical example is the pothole. You can report the pothole, you can report a missing street sign. This can be enormously helpful to cities because they have more real-time information for problems in the infrastructure. So that’s another kind of engagement. —R.S. … Citizens can find new and unusual ways to use data that comes out of cities, in ways that cities had never thought about before. So it’s a very exciting way for people—particularly techies—to get into the mechanisms of governance and the mechanisms of government. So I think that this is a great time to engage physically and digitally about what’s happening in your own cities. There are obviously challenges that are paired with that. —R.S. But that ignores all sorts of reasons that people cannot participate. The digital divide and digital inequities have not gone away, they merely shift and hide. So we can be relatively sure that a lot of people have e-mail, but in parts of rural Canada we can’t always be sure that people will have sustainable connections to the Internet, to broadband connections, to connections of a sufficient speed, to connections that persist over time as opposed to connections that drop out in the middle of an e-mail transmission or a call. That’s a real challenge if all of a sudden you decide to move a good portion of your citizen activity online; you cut out a large number of people. We may say, “Oh great, we can build all these apps for smart phones.” Well, that of course presumes that people own smart phones, that people have data plans on smart phones, that people have sufficiently high speed connections on their phones so that they can transmit, upload and download data quite quickly. We can’t make those kinds of assumptions. —R.S. You have to couple that with persistent digital divides and divides in general. Why are we assuming that illiteracy has been abolished in North America? We know that people still are illiterate. The hallmark of these technologies is that they’re increasingly relying on the written word. You have a phone, and you think we’re going to interact with the phone via voice. But increasingly people use their phones with text. Well, if you can’t read then you can’t participate. If you cannot see, you cannot participate. So we have all sorts of inequities based on disabilities. So we have to be in tune to that, even as we trumpet the increased advantages and increased opportunities for people to participate. There will be people who will still find it extraordinarily challenging. Obviously people are working on solutions, but we have to be mindful of this in our rush to embracing digital engagement completely. —R.S. In terms of technologies and processes that are shaping these conversations, obviously social media and social networks have been incredibly important. We almost take for granted now that cities have Facebook pages—that departments in cities have Facebook pages. But that’s an odd concept when you step back and you think about it. That, (a) a city should have social media, and (b) that cities need to attach themselves to a specific proprietary network. But the fact that cities are socially engaged via these platforms, that they actually spend the resources and see the need to have Facebook pages that are updated, that they have Twitter accounts, that they have YouTube channels, that they may be increasingly looking at applications like Meerkat and Periscope to allow for live streaming—that they may be incredibly concerned that applications like Meerkat and Periscope may be used to inadvertently live stream a conversation that they heretofore thought was private—I think these technologies have rapidly transformed the way that cities feel they must now be engaged with the public. These technologies absolutely have technological implications and they have institutional implications as well. You have to have a person who updates your Facebook accounts. That takes some time to do. You may have to find someone who automates posting not only on Facebook, but to LinkedIn, to Twitter—that automation may require a systems administrator or coder employed by the city. The fact that cities now employ social media people, these are job titles that we did not see before: open data architects, CTO [chief technology officer] positions in cities. These are processes that have changed in cities. I think that in the future cities will increasingly start to grapple with what succeeds and fails. I think we’re in a publishing mode right now. I think that cities are doing all they can to keep up. So, the city has to publish as much data as it can on an open data platform. They have to engage in as many social media platforms as they can. I think they will increasingly need to take hard looks at what succeeds and what fails. It is by no means easy to evaluate these platforms in terms of success and failure. 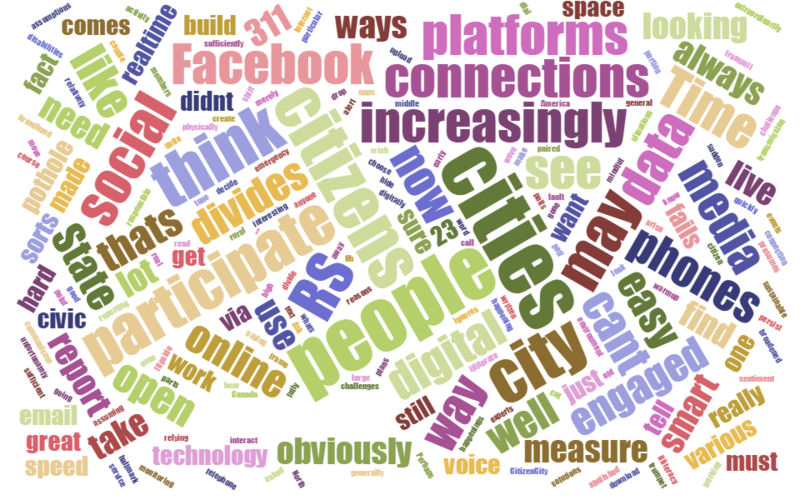 What is an effective Facebook profile? How do you measure that? Do you measure it with “likes”? OK, that’s one very technical way of measuring it, but what does a “like” tell you about meaningful engagement? It might not tell you a lot. So it’s easy to take the low-hanging fruit of measurements to determine whether platforms are successful or not. That may not be the right way to go. Cities are increasingly looking at analytics and predictive analytics to gauge the success of these various platforms and their engagement. But once again, that tends to based on what can easily be quantified. —R.S. A lot of engagement between cities and citizens is much more longitudinal. It happens slowly over time. Cities and citizens build up trust. Distrust is easily gained, and very hard to get rid of. I’ve been talking about cities as these homogeneous unions. But there are people in cities; there are citizens employed by cities, and often it is the ways that individuals in city governments reach out to individual citizens or groups of citizens, building up those linkages—using these technological platforms to heterogenize the city [that builds trust]. 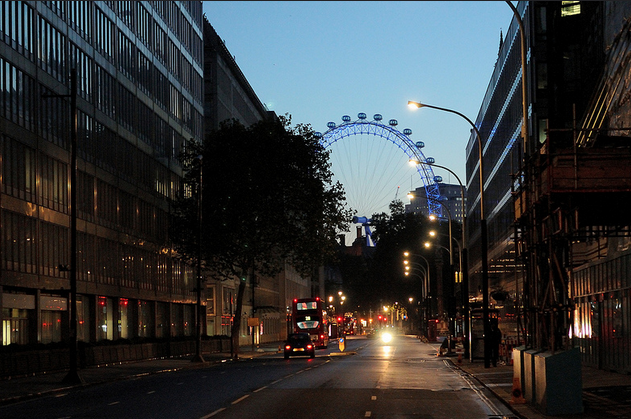 So, we begin to see the city and we see government as people engaging, just like you. They’re engaging with you, as opposed to being just The State (and you always must have this opinion about The State, or be in opposition to The State, or protest The State). So [citizens can] use these technologies to sort of reach in, and stop looking at it as a monolith and more as a group of people who really are in city government because they wanted to work with citizens; they wanted to work on issues that were important and very close to the people who live in their cities. —R.S. Join us for our #Geothink Twitter chat on civic participation on the geoweb: Monday, November 23 at 1 p.m. Eastern Time. This entry was posted in Twitter Chats and tagged cities, citizen engagement, civic participation, digital divide, Facebook, literacies, open government, Renee Sieber, Research Theme 1: Anywhere Anyone Anytime, social media, Twitter on November 17, 2015 by Geothink. This post is cross-posted with permission from Alexander Aylett, from UGEC Viewpoints. Aylett is an Assistant Professor at the Centre on Urbanisation, Culture and Society at the National Institute for Scientific Research (UCS-INRS) in Montreal, Quebec. Since its early days, the discourse around “smart cities” has included environmental sustainability as one of its core principles. The application of new digital technologies to urban spaces and processes is celebrated for its ability to increase the well-being of citizens while reducing their environmental impacts. But this engagement with sustainability has been limited to a technocratic focus on energy systems, building efficiency, and transportation. It has also privileged top-down interventions by local government actors. For all its novelty, the smart cities discussion is operating with a vision of urban sustainability that dates from the 1990s, and an approach to planning from the 1950s. This definition of “urban sustainability” overlooks key facets of a city’s ecological footprint (such as food systems, resource consumption, production related greenhouse gas emissions, air quality, and the urban heat island effect). It also ignores the ability of non-state actors to contribute meaningfully to the design and implementation of urban policies and programs. But that doesn’t need not be the case. In fact, if employed properly, new information technologies seem like ideal tools to address some of urban sustainability’s most persistent challenges. Let’s take a step back. Often discussions of smart cities begin with an account of the capabilities of specific technologies or interfaces and then imagine urbanism – and urban sustainability – through the lense of those technologies. I’d like to do the opposite: beginning with the successes and lasting challenges faced by urban sustainability and interpreting the technologies from within that context. To understand the role that “smart” technologies could play in enabling sustainable cities, it’s useful to first look at what we have managed to accomplish so far, and what still needs to be done. For those of us working on sustainable cities and urban responses to climate change, the past two decades have been a period of both amazing successes and enduring challenges. In the early 1990s a handful of cities began promoting the (at that time) counterintuitive idea that local governments had a key role to play in addressing global climate change. Since then, the green cities movement has won significant discursive, political, and technical battles. Global inter-municipal organizations like ICLEI or the C40 now have memberships that represent thousands of cities. Two decades of work have created planning standards and tools and an impressive body of “best practice” literature. Through the sustained efforts of groups like ICLEI, cities are now recognized as official governmental stakeholders in the international climate change negotiations coordinated by the United Nations. But – crucially – real urban emissions reductions are lagging well below what is needed to help keep global CO2 within safe limits. Looking at the efforts of individual cities and the results of a global Urban Climate Change Governance survey that I conducted while at MIT (Aylett 2014, www.urbanclimatesurvey.com ) shows why. Apart from a small contingent of charismatic cities like Vancouver, Portland, or Copenhagen, cities are struggling to move beyond addressing the “low hanging fruit” of emission from municipal facilities ( i.e., vehicle fleet, municipal buildings, street lighting – known as “corporate emissions”) to taking action on the much more significant emissions generated by the broader urban community (i.e., business, industry, transportation, and residential emissions). This problem has been with us since the early days of urban climate change responses. But how we understand it has changed significantly. Where some cities used to inventory only their corporate emissions, this is now rare. Current guidelines cover community-wide emissions and work is underway to create a global standard for emissions inventories that will also engage with emissions produced in the manufacture of the goods and services consumed within cities (see Hoornweg et al. 2011). Built on the increased scope of our technical understanding of urban emissions, is a change in how we understand the work of governing climate change at the local level. A top-down vision of climate action focused on the regulatory powers of isolated local government agencies is being replaced by one that is horizontal, relational, and collaborative. This approach transforms relationships both inside and outside of local governments, by linking together traditionally siloized municipal agencies and also forging partnerships with civil-society and business actors (Aylett 2015). The increased prominence of non-state actors in urban climate change governance has led to growing calls for partnerships across the public-private divide (Osofsky et al. 2007; Andonova 2010; Bontenbal and Van Lindert 2008). These partnerships play an important role in overcoming gaps in capacity, translating the climate change impacts and response options into language that is meaningful to different groups and individuals, and accelerating the development of solutions. Follow-up analysis of the 2014 MIT-ICLEI Climate survey shows that these partnerships have an important positive impact on the scope of concrete emissions reductions. Cities with stronger partnerships appear to be more able to create concrete emissions reductions outside of areas directly controlled by the municipality. This evolution in approaches to climate change planning follows a broader current in urban planning more generally which, since the 1960s have moved away from expert driven and technocratic processes and created increasing amounts of space for participatory processes and facilitative government. Seen from this perspective, the allure of “smart” approaches to green cities is precisely the fact that information technology tools seem so well suited to the challenges that have stalled progress so far. Collecting, sharing and analysing new and existing data, and coordinating complex multi-scalar social networks of collaborative design and implementation are precisely what has drawn attention to new technologies in other sectors. Disappointingly, current applications of a data-driven and technologically enabled approach to urban sustainability are far from delivering on this potential. Reading through the literature shows that the many interesting works that address the impacts of new technologies on urban governance (for example Elwood 2010, Evans-Cowley 2010, Goldsmith and Crawford 2015, Moon 2002) have nothing to say about the governance of urban sustainability. Work that does address environmental sustainability is dominated by a technocratic focus on energy systems, building efficiency, and transportation that privileges top-down action by municipal experts and planning elites (The Climate Group 2008, Boorsma & Wagener 2007, Kim et al. 2009, Villa & Mitchell 2009). This literature review is ongoing, and I continue to hope to find a body of work that combines a developed understanding of urban sustainability with a detailed reflection on digital governance. As it is, we seem to be working with outdated approaches to both urban sustainability and planning. How to update this approach, and use the full potential of data-driven, technologically enabled, and participatory approaches to spur accelerated transitions to sustainable cities is a key question. This research is necessary if we are going to unlock the full potential of the “smart” urbanism to address the necessity of building sustainable cities. It is also important that we avoid rolling back the clock on two decades of “green cities” research by basing our digital strategies around outdated understandings of the urban sustainability challenge. Cities are responsible for as much as 70% of global greenhouse gas emissions and consume 75 percent of the world’s energy (Satterthwaite 2008). These figures are often repeated. But taking action at that scale requires both technological and socio-institutional innovations. Efforts to reduce urban emissions are challenged by the complexity of coordinating broad coalitions of action across governmental, private, and civil-society actors, and the need to effectively collect, share, and analyse new and existing data from across these traditionally siloized sectors. These complexities have played an important role in limiting actual urban emissions reductions far below what is needed to stabilize global emissions within a safe range. Interestingly, these complexities are also the very strengths of emerging information and communications technologies (ICT) tools and Geoweb enabled approaches to urban planning and implementation. Currently, the use of “smart” approaches to address the urban climate challenge has been limited to narrow and technocratic initiatives. But much more is possible. 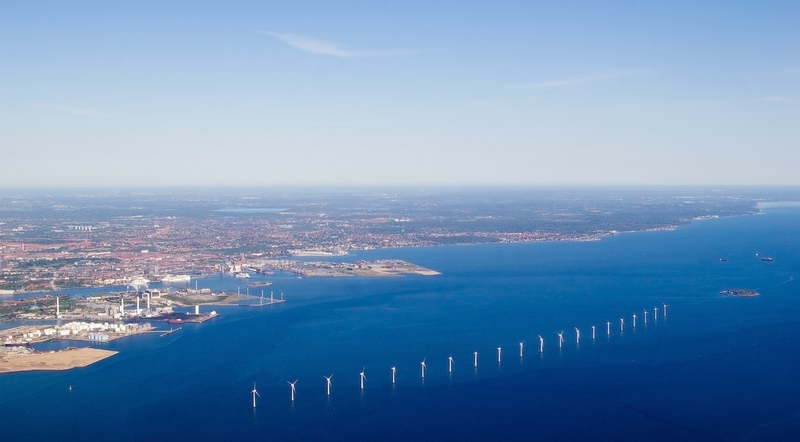 If effective bridges can be built between the ICT and Urban Sustainability sectors, a profound shift in approaches to the urban governance of climate change could be possible. It is important to increase both sustainability and digital literacy among those involved. Only then will innovations in urban sustainability benefit from a deep understanding of both the new tools at our disposal, and the complex challenge to which we hope to apply them. Alexander Aylett is Assistant Professor at the Centre on Urbanisation, Culture and Society at the National Institute for Scientific Research (UCS-INRS) in Montreal, Quebec, Canada. This entry was posted in Refereed Publications & Conferences and tagged Alexander Aylett, crosspost, governance, Research Theme 1: Anywhere Anyone Anytime, smart cities, urban management on July 14, 2015 by Geothink. Geothoughts 4 examines how civic participation is changing with the advent of geospatial digital technologies. We’re very excited to present you with our fourth episode of Geothoughts. You can also subscribe to this Podcast by finding it on iTunes. This podcast examines how civic participation is changing with the advent of geospatial digital technologies that allow for cities to collect many forms of data on their citizens and for citizens to communicate with cities and about all that happens within them. We interview Geothink’s Head Renee Sieber, Associate Professor in McGill University’s Department of Geography and School of Environment, to find out her opinions on this subject. Thanks for tuning in. And we hope you subscribe with us at Geothoughts on iTunes. A transcript of this original audio podcast follows. This week we sit down with Geothink Head Renee Sieber to discuss how geospatial digital technology continues to reshape citizen interactions with cities. Sieber is an associate professor in McGill University’s Department of Geography and School of Environment. Welcome to Geothoughts. I’m Drew Bush. For example, governments can now know if you visit certain parks, go to certain places for coffee, and meet certain friends while doing either. So, theoretically at least, they can now design urban spaces and cities themselves to be safer, more vibrant, and better suited to the range of activities taking place in these places. Now in the third year of a five-year partnership research grant funded by the Canadian Government’s Social Sciences and Humanities Research Council, Geothink involves 26 researchers and 30 partners in examining the implications of increasing two-way exchanges of locational information between citizens and governments. That’s where the interdisciplinary research of Geothink’s team and collaborators as well as its partnerships with many cities come in, said Sieber. All of these new interactions and ways of governing or being a citizen require research to be better understood. Not all applications of new digital technologies have positive connotations. For example, these technologies make it easier for cities to conduct better surveillance of citizens since they can track people through the cell-phones they carry or by the places they check into. Such privacy concerns have the potential to make people very uncomfortable, particularly because it means placing more trust in governments and technologies that could misuse or abuse this data, according to Sieber. Other problems include the mistaken belief that new technologies mean more people can access and interact with their cities. While efforts to take some conversations or debates online might be advantageous to certain populations, it can also be disenfranchising to others, Sieber added. However, that doesn’t mean that more digital opportunities haven’t translated into more opportunities for citizens to interact with their cities and their services. However, Sieber cautions that we must remember technology is not a panacea. If you have thoughts or questions about this podcast, get in touch with Drew Bush, Geothink’s digital journalist, at drew.bush@mail.mcgill.ca. This entry was posted in Geothoughts Podcasts and tagged cities, civic participation, McGill Department of Geography, Mcgill School of Environment, Mcgill University, open data, podcast, Renee Sieber, Research Theme 1: Anywhere Anyone Anytime on June 1, 2015 by Drew Bush. In this post, I provide an overview of crowdsourcing and a way to think about it practically as a problem solving tool that takes on four different forms. I have been refining this definition and typology of crowdsourcing for several years and in conversation with scholars and practitioners from diverse fields. Plenty of people disagree with my characterization of crowdsourcing and many have offered their own typologies for understanding this process, but I submit that this way of thinking about crowdsourcing as a versatile problem solving model still holds up. I define crowdsourcing as an online, distributed problem solving and production model that leverages online communities to serve organizational goals. Crowdsourcing blends bottom-up, open innovation concepts with top-down, traditional management structures so that organizations can effectively tap the collective intelligence of online communities for specific purposes. Wikis and open source software production are not considered crowdsourcing because there is no sponsoring organization at the top directing the labor of individuals in the online community. And when an organization outsources work to another person–even if that work is digital or technology-focused–that is not considered crowdsourcing either because there is no open opportunity for others to try their hands at that task. 1. The Knowledge Discovery and Management (KDM) crowdsourcingapproach concerns information management problems where the information needed by an organization is located outside the firm, “out there” on the Internet or in daily life. When organizations use a KDM approach to crowdsourcing, they issue a challenge to an online community, which then responds to the challenge by finding and reporting information in a given format back to the organization, for the organization’s benefit. This method is suitable for building collective resources. Many mapping-related activities follow this logic. 2. The Distributed Human Intelligence Tasking (DHIT) crowdsourcing approach concerns information management problems where the organization has the information it needs in-hand but needs that batch of information analyzed or processed by humans. The organization takes the information, decomposes the batch into small “microtasks,” and distributes the tasks to an online community willing to perform the work. This method is ideal for data analysis problems not suitable for efficient processing by computers. 3. The Broadcast Search (BS) crowdsourcingapproach concerns ideation problems that require empirically provable solutions. The organization has a problem it needs solved, opens the problem to an online community in the form of a challenge, and the online community submits possible solutions. The correct solution is a novel approach or design that meets the specifications outlined in the challenge. This method is ideal for scientific problem solving. 4. The Peer-Vetted Creative Production (PVCP) crowdsourcing approach concerns ideation problems where the “correct” solutions are matters of taste, market support, or public opinion. The organization has a problem it needs solved and opens the challenge up to an online community. The online community then submits possible solutions and has a method for choosing the best ideas submitted. This way, the online community is engaged both in the creation and selection of solutions to the problem. This method is ideal for aesthetic, design, or policy-making problems. 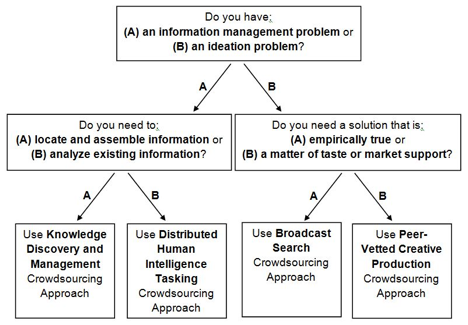 This handy decision tree below can help an organization figure out what crowdsourcing approach to take. The first question an organization should ask about their problem solving needs is whether their problem is an information management one or one concerned with ideation, or the generation of new ideas. In the information management direction, the next question to consider is if the challenge is to have an online community go out and find information and assemble it in a common resource (KDM) or if the challenge is to use an online community to process an existing batch of information (DHIT). On the ideation side, the question is whether the resulting solution will be objectively true (BS) or the solution will be one that will be supported through opinion or market support (PVCP). A decision tree for determining appropriate crowdsourcing approaches for different problems. Source: Brabham, D. C., Ribisl, K. M., Kirchner, T. R., & Bernhardt, J. M. (2014). Crowdsourcing applications for public health. American Journal of Preventive Medicine, 46(2), 179-187. I hope this conception of crowdsourcing is easy to understand and practically useful. Given this outlook, the big question I always like to ask is how we can mobilize online communities to solve our world’s most pressing problems. What new problems can you think of addressing with the power of crowds? 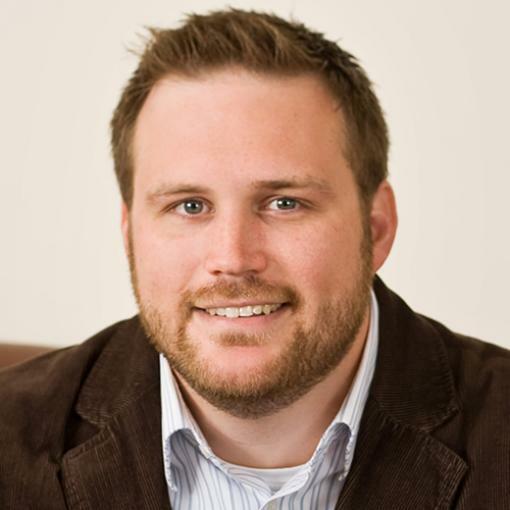 Daren C. Brabham, Ph.D., is an assistant professor in the Annenberg School for Communication & Journalism at the University of Southern California. He was the first the publish scholarly research using the word “crowdsourcing,” and his work focuses on translating the crowdsourcing model into new applications to serve the public good. He is the author of the books Crowdsourcing (MIT Press, 2013) and Crowdsourcing in the Public Sector (Georgetown University Press, 2015). This entry was posted in In The News and tagged Annenberg, crosspost, crowdsourcing, Daren Brabham, overview, Research Theme 1: Anywhere Anyone Anytime, University Southern California, USC on March 6, 2015 by Drew Bush. 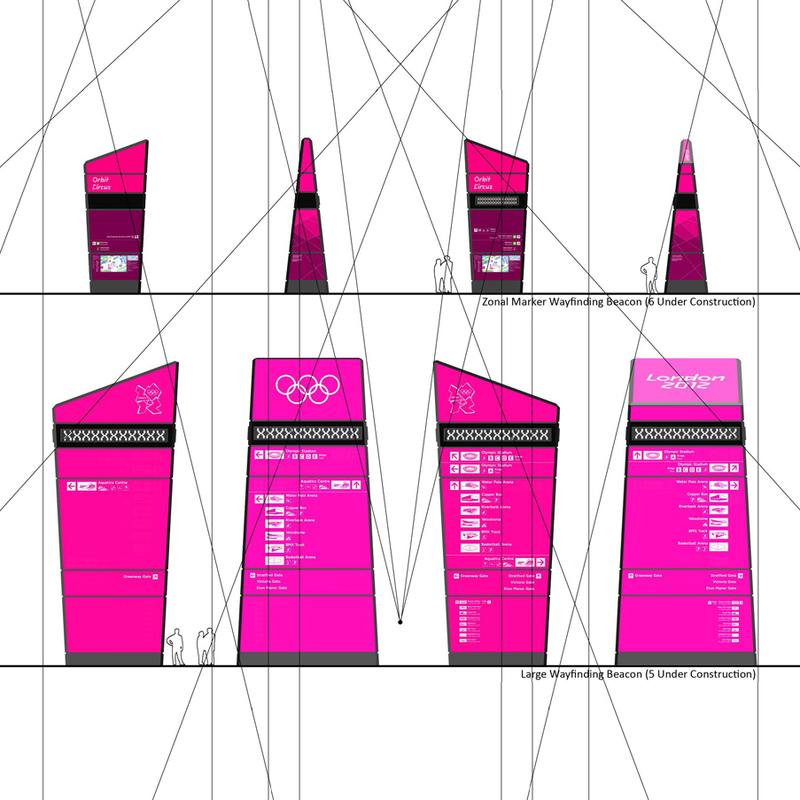 London Olympic wayfinding beacon (Photo courtesy of www.mudarchitecture.com). In two articles published this January, Geothink researcher Stéphane Roche and his doctoral student Teriitutea Quesnot argue that not all geosocial data is equivalent, and that better data on the social significance of a landmark could greatly enhance our understanding of human wayfinding behavior. A Professor of Geomatics at University of Laval, Roche’s research over the past five years has focused on how new forms of digital spatiality affect spatial reasoning skills, and the capacity of individuals to engage in the city. Previous researchers in the field of geo-cognition have tried to characterize the salience of landmarks in human wayfinding behaviour. Most have classified differing landmarks by visual, structural and semantic cues. However, the social dimensions of a landmark, such as how they are practised or recognized by individuals or groups, had been excluded from its semantic salience (or often reduced to historical or cultural cues), according to the authors. In conducting their research, the authors examined world famous landmarks and detected semantic landmarks in the cities of Vienna and Paris using data from Foursquare API v2 and Facebook API v2.1. from September 29, 2014 to November 15, 2014. In a second paper entitled “Platial or Locational Data? Toward the Characterization of Social Location Sharing,” the authors expanded on this theme in arguing that not all geosocial data is equal. The paper was presented at 48th Hawaii International Conference on Systems Sciences this past January. Some data, which the authors consider “platial,” relates more to users experiences of a given place while “spatial” data is tied to the actual coordinates of a place. In the context of geosocial data, spatial data might mean the exact location of the Eiffel tower while palatial could refer to a person passing by the Eiffel tower or taking a photo of it from another location. Find links to each article along with their abstracts below. Research in the area of spatial cognition demonstrated that references to landmarks are essential in the communication and the interpretation of wayfinding instructions for human being. In order to detect landmarks, a model for the assessment of their salience has been previously developed by Raubal and Winter. According to their model, landmark salience is divided into three categories: visual, structural, and semantic. Several solutions have been proposed to automatically detect landmarks on the basis of these categories. Due to a lack of relevant data, semantic salience has been frequently reduced to objects’ historical and cultural significance. Social dimension (i.e., the way an object is practiced and recognized by a person or a group of people) is systematically excluded from the measure of landmark semantic salience even though it represents an important component. Since the advent of mobile Internet and smartphones, the production of geolocated content from social web platforms—also described as geosocial data—became commonplace. Actually, these data allow us to have a better understanding of the local geographic knowledge. Therefore, we argue that geosocial data, especially Social Location Sharing datasets, represent a reliable source of information to precisely measure landmark semantic salience in urban area. Sharing “location” information on social media became commonplace since the advent of smartphones. Location-based social networks introduced a derivative form of Volunteered Geographic Information (VGI) known as Social Location Sharing (SLS). It consists of claiming “I am/was at that Place”. Since SLS represents a singular form of place-based (i.e. platial) communication, we argue that SLS data are more platial than locational. According to our data classification of VGI, locational data (e.g. a geotagged tweet which geographic dimension is limited to its coordinate information) are a reduced form of platial data (e.g. a Swarm check-in). Therefore, we believe these two kinds of data should not be analyzed on the same spatial level. This distinction needs to be clarified because a large part of geosocial data (i.e. spatial data published from social media) tends to be analyzed on the basis of a locational equivalence and not on a platial one. If you have thoughts or questions about the article, get in touch with Drew Bush, Geothink’s digital journalist, at drew.bush@mail.mcgill.ca. This entry was posted in Refereed Publications & Conferences and tagged geocognition, geosocial data, locational data, platial data, Research Theme 1: Anywhere Anyone Anytime, Research Theme 5: Space Place Social Justice, spatial data, Stephane Roche, Universite Laval, wayfinding on February 9, 2015 by Geothink. As crowdsourcing ventures become more widespread in the Canadian public sector and abroad, many questions arise as to how these ventures come into being from an institutional standpoint; what motivates participants to engage these ventures; how citizens perceive these ventures as extensions of democratic governance; and what the impacts of these ventures may be on public sector employees and budgets. This research project aims to tackle these questions. Students will help in the collection and analysis of data, the creation of interdisciplinary literature reviews, and the reporting of findings in scholarly and professional formats. The first phase of this project will identify crowdsourcing cases from across the country and some other cases abroad for comparison’s sake. Students will assist in finding these cases through searches in popular and trade publications and through partner networks, and cases will be classified according to accepted crowdsourcing typologies. The next phase will be to contact key figures in these various governmental entities to set up interviews and collect archival data on crowdsourcing projects. These interviews and analysis of documents will help round out case studies on these crowdsourcing ventures, focusing on institutional dynamics and tensions that went into the launch (and maintenance) of crowdsourcing programs. The final phase will involve surveying or interviewing citizens who participated in these projects, to get a sense of their appraisal of the programs in terms of democratic principles and to understand what motivated them to participate in these programs. Resulting case studies will dovetail with the case study projects of other researchers in Themes 1 and 6. If you would like more information or would like to be involved in the study, please contact Daren Brabham, brabham (at) usc (dot) edu. Admin note: Daren is our primary American researcher on the grant and has just joined the Annenberg School for Communication and Journalism at the University of Southern California. He is well known for his research on crowdsourcing in the American public sector and has just published his first book called Crowdsourcing. This entry was posted in Research Project and tagged Canadian government, crowdsourcing, Daren Brabham, Research Theme 1: Anywhere Anyone Anytime on September 21, 2013 by Geothink. Funded by the Canadian Social Sciences and Humanities Research Council Partnership Grant Program and generous contributions from grant partners.